I was overwhelmed often by then US President John F. Kennedy for his charismatic leadership and his eternal love for peace. 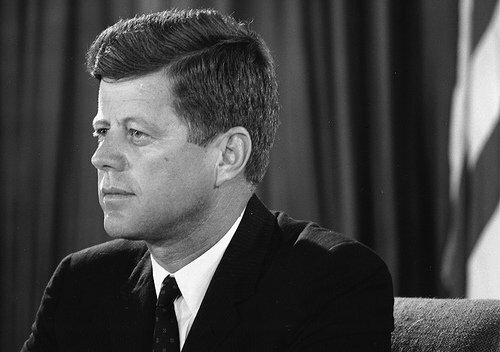 As the 35th President of the United States, he served from 1961 until his assassination in 1963. Though he was from a politically prominent Irish-American Kennedy family, he was so down to earth and considered an icon of American liberalism. His bravery and heroism well reflected during World War II by rescuing a fellow sailor in the South Pacific. He was elected as the US President in 1960, in one of the closest elections in history after he served in his home state of Massachusetts as both a member of the House of Representatives and Senate. His inaugural address on Friday, January 20, 1961 to the Americans and to the world was a fascinating and heart-touching one. The events, just before the inaugural address are rolling into mind. The election of 1960 had been close, and the Democratic Senator from Massachusetts was eager to gather support for his agenda. He attended Holy Trinity Catholic Church in Georgetown that morning before joining President Eisenhower to travel to the Capitol. The Congress had extended the East Front, and the inaugural platform spanned the new addition. The Chief Justice Earl Warren administered the oath of office. President John F. Kennedy addressed the audience where the Vice President Johnson, the Speaker, the Chief Justice, President Eisenhower, Vice President Nixon, President Truman, reverend clergy and others were gathered. His statement in his eloquent voice that “we observe today not a victory of party, but a celebration of freedom, symbolizing an end, as well as a beginning, signifying renewal, as well as change. For I have sworn before you and Almighty God the same solemn oath our forebears prescribed nearly a century and three quarters ago” was so heart touching forever. The US President who came out with his inaugural address not only for his fellow Americans but for the entire world and faced the major crisis during his presidency, the Bay of Pigs invasion, the Cuban Missile Crisis, the building of the Berlin Wall, the Space Race, early events of the Vietnam War and the American Civil Rights Movement and tried his best to resolve those crisis, was finally assassinated on November 22, 1963 by Lee Harvey Oswald untimely before he put a lasting end to those crisis. Kennedy’s assassination has left in America and around the world, a traumatic impact for centuries to remember for the world leader who thought for peace and harmony globally.